MoJo Promotions hold a excellent collection of personalised bakery products, all intended to be custom printed with your logo. 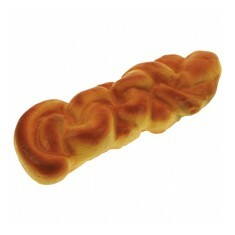 Bakery Products provide a superb way to advertise your information. The practical nature of personalised bakery products is sure enough to ensure your marketing ideas are met. Our selection includes - Stress Pretzels to mention but a few. All of our merchandise can be branded to suit your goals, please contact us for more information. Get your brand noticed with our fragranced stress pretzel! This product looks,..